We have all your special holiday local foods at our Saturday Market! Posted 4/18/2019 11:51am by Miranda Combs. "We have all your special holiday local foods at our Saturday Market!" **TIME TO ORDER ANY HOLIDAY/EASTER ITEMS FOR PICK-UP ON SATURDAY, APRIL 20TH LIKE: BONELESS LEG OF LAMB ROASTS, WHOLE LAMB SHANKS, THICK LAMB CHOPS, HICKORY SMOKED HALF OR WHOLE HAMS, HAM SLICES, AND LARGER SIZED TURKEYS! DON'T WAIT OR THEY WILL SELL OUT!! -Spring is here and our greenhouse is full, on Saturday we'll have a selection of plants available! Local spinach, asst greens, peppers, beans, brussel sprouts, zukes, beets, turnips, mushrooms, and more! Posted 4/18/2019 11:50am by Miranda Combs. "There is plenty of Spring variety of local foods at our Saturday Market!" Posted 4/4/2019 10:04am by Miranda Combs. We hope to see you on Saturday, April 6th! Welcome Spring with local foods this "Green Holiday Weekend!" Posted 3/14/2019 10:16am by Miranda Combs. 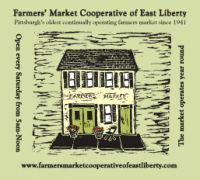 "Welcome Spring with local foods this green holiday weekend at our Saturday Farmers Market!" We hope to see you on Saturday, March 16th! 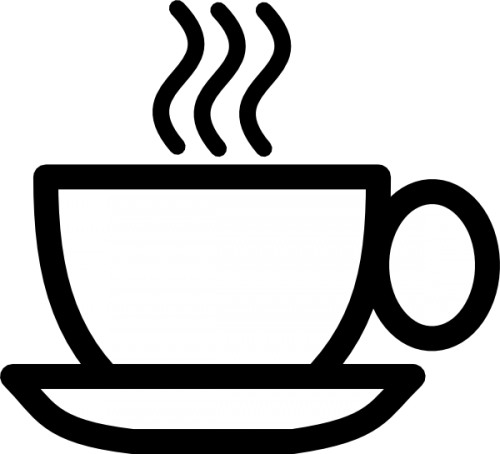 COFFEE STAND IS NOW OPEN AT 6:30 A.M. - 11:30 A.M.
J.L.KENNEDY MEAT STAND Order pick-up is by 10:30 AM please every Saturday ! Thanks! HAPPY ST. PATRICK'S DAY ! AND HAPPY SPRING THIS NEXT WEEK ! SIRLOIN STEAKS ARE ALWAYS AFFORDABLE, ESPECIALLY WITH IRISH POTATOES AND CABBAGE THIS WEEKEND! MAKE SOME IRISH-INSPIRED BEEF STEW= IS LEAN BUT HEARTY, SERVES A CROWD, AND SOME RECIPES USE IRISH BEER ! **TIME TO ORDER ANY HOLIDAY/EASTER ITEMS FOR PICK-UP ON SATURDAY, APRIL 20TH LIKE: BONELESS LEG OF LAMB ROASTS, LAMB SHANKS, THICK LAMB CHOPS, HICKORY SMOKED HALF OR WHOLE HAMS, HAM SLICES, STANDING RIB ROASTS ! DON'T WAIT THEY WILL SELL OUT!! Enjoy a wide variety of local foods at our Saturday Farmers Market! Posted 3/7/2019 9:09am by Miranda Combs. We hope to see you on Saturday, March 9th! Featuring Zeke's Coffee: We are selling pound bags also. Lots of fresh, local foods to warm you at our Farmers Market! Posted 2/28/2019 4:11pm by Miranda Combs. We hope to see you on Saturday, March 2nd! -Fresh Apple Cider - we're still pressing fresh! -Pick up locally produced honey from Bedillion Honey Farm this Saturday! We will have a selection of their products available. Let's add "Local and Healthy" to your winter menu! Posted 2/21/2019 6:34pm by Miranda Combs. "Let's add local and healthy to your winter menu!" We hope to see you on Saturday, February 23rd! -Locally produced maple syrup is available!